Congratulations, Grace Tan of Malabon! She won the random pick of rafflecopter. Enjoy the yummy goodness of Red Ribbon! The nearest birthday in our family is still 2 months away but I am already trying to make a short list of the suppliers for my daughter's birthday thanks to Red Ribbon's Birthday Budget Planner online tool. What I like about the site is that you start by personalizing the Dedication cake by writing the celebrant's name and crafting a unique dedication suited for her. Somehow, seeing the cake with her name on it heightens the excitement of the birthday to come. I also appreciate that the suppliers in the list are suppliers known to provide good quality food and service at an affordable price. Suppliers like Amber's and the different "Pancit Malabon" (noodle) suppliers are there. 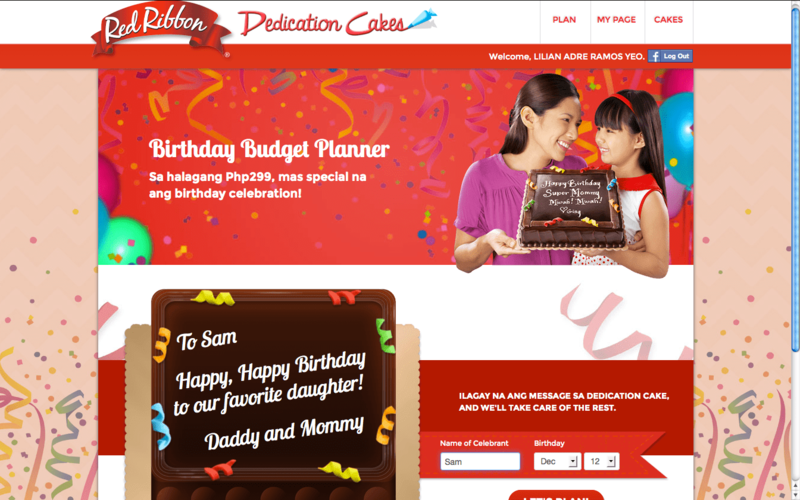 An online site dedicated to us parents planning a birthday party but treading the budget - Red Ribbon Birthday Budget Planner. Planning a birthday party? 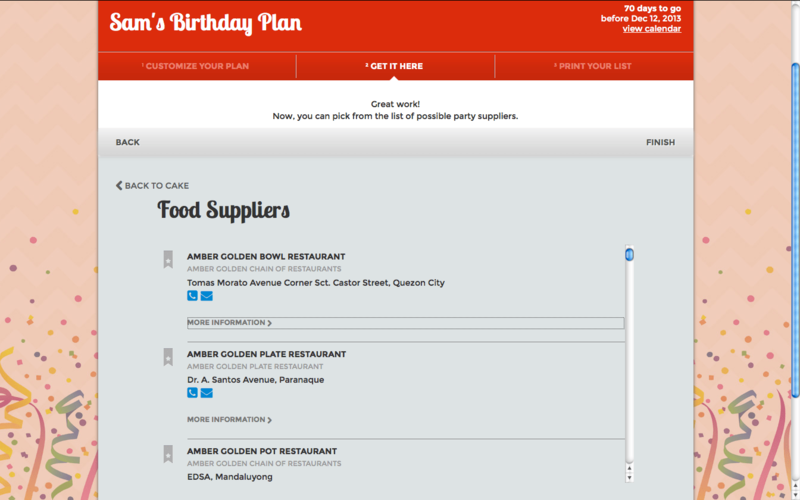 Plan and play around with your party at Red Ribbon's Birthday Budget Planner. To shave off the budget further, join TheGoMom's giveaway by simply liking TheGoMom in Facebook and get a chance to win one (1) P500 Red Ribbon Gift Certificate! Happy Partying! Disclosure: This post is yummily sponsored by Red Ribbon.